The first purpose of the Book of Mormon that is mentioned is to show the remnant of Israel great things God did for their fathers so they may KNOW the covenants of the Lord and that they are still in effect. In other words, here is a message from God saying that he is still there for us and that his covenants are still extended toward us. I owe a great deal to my good friend, Bro. King, for the initial core pieces of the puzzle that got my mind going on the ideas presented. 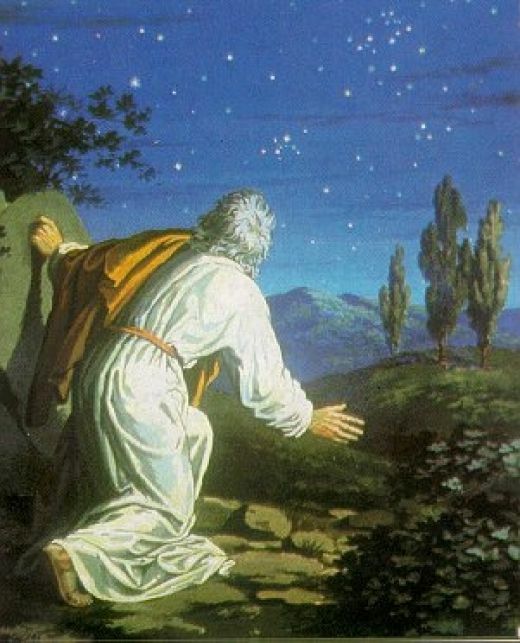 His posterity would be numerous (see Genesis 17:5–6; Abraham 2:9; 3:14). His seed, or descendants, would receive the gospel and bear the priesthood (see Abraham 2:9). Through the ministry of his seed, “all the families of the earth [would] be blessed, even with the blessings of the Gospel, which are the blessings of salvation, even of life eternal” (Abraham 2:11). For the most part, mainstream Christianity views the Godhead from the perspective of the Nicene Creed (323 A.D.) which only looked at the ‘oneness’ of the Father and the Son, and the Athanasian Creed (which originated around 500 A.D.) which was the first creed to vocalize equality of the persons of the Father, Son and Holy Ghost into a ‘Trinity”. It is still a hotly contested issue to this day. The Church of Jesus Christ of Latter-day Saints claims it’s view of the Godhead from the eyewitness accounts of modern apostles and prophets. Both views of God were brought to us by men. The Trinitarian view has evolved through time out of councils, debates and defined in creeds, the LDS view is claimed to have come from revelation. That said, let’s take a look and see what the scriptures have to say on the matter. Believe it or not, while serving as a full-time missionary, this was a statement made by a woman that we were having a discussion with. She shared a few scriptures from the Book of Mormon that she though were some of the most beautiful Trinitarian scriptures. She asked us why we didn’t believe the doctrine of the Trinity if that is what our own book taught. Good question. Let’s explore some instances from scripture where we have something being cut or divided and then a passing between the parts. Animals from the sea and land. Man and woman from Eden/God. My brethren and sisters, when those in charge of this work were planning the program, I urged upon them that they do not call this meeting for the Assembly Hall. I felt sure the congregation would be so small that we would all be unhappy. I am happily disappointed; and I am quite sure that neither the drawing power of Joseph Fielding Smith nor myself is the cause of this large attendance, but that the conviction in the hearts of the Latter-day Saints that all that pertains to temples and to temple work, to the salvation for the dead, is of tremendous worth. I regret, of course, that Elder Joseph Fielding Smith is not here tonight. I am sorry for those of you who came to hear him speak, for you will have to come again, because he speaks tomorrow. He is filling an important engagement, and we simply exchanged evenings. I regret, however, for my own sake, that he is not here, because what I have to say needs as a background the splendid talk that he has for us. He will deal with the spirit and the mission of Elijah. I was asked to speak about temple worship. He was to take up the great generalization, the great body of principles upon which this work rests; and I was to take one small part of the application of the work, for my theme.